Answer: Vitiligo is not contagious (it does not spread from person to person). Vitiligo is not caused by a germ, bacteria, or virus that can spread like the flu or common cold. Touching discolored skin does not spread it on a person’s own body or to another person. Medical research has not found a specific cause for the autoimmune disorder. Genetics and family history, a stressful psychological event, the body’s reaction after an infection by a virus, overexposure to the sun, or chemical exposures may increase a person’s risk of developing vitiligo. 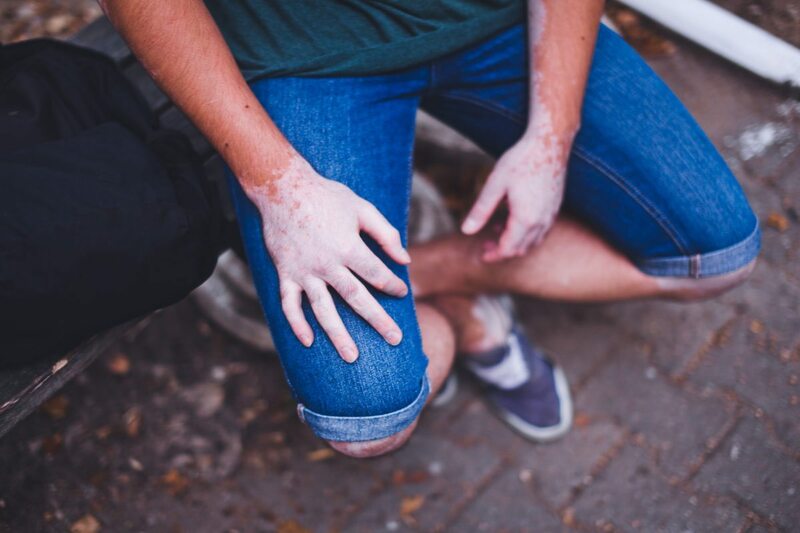 When a person who already has vitiligo experiences these risk factors they may see new patches appear or old patches expand. It is important to raise awareness that vitiligo is not contagious. Vitiligo is rare, only affecting about 1% of the population, so most people are not familiar with the condition. They may avoid or discriminate against people with vitiligo out of fear, misunderstanding, and false assumptions.